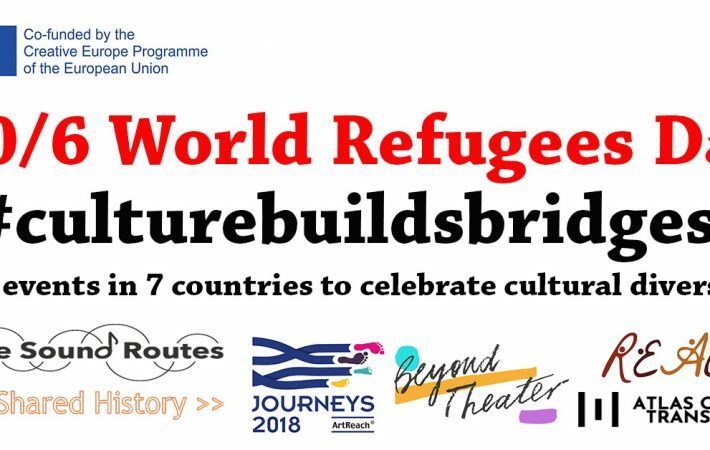 On the 20th of June, on World Refugee day, several refugee integration projects, co-financed by the Creative Europe programme, joined forced to organise 13 events in 7 cities. International musicians, many of them from countries affected by war or other adverse conditions, put together a series of cultural productions with the objective of promoting cultural integration, co-creation and collaboration. The events will be livestreamed and shared on the project’s facebook page. Description: Ceuta is a Spanish outpost city located on Moroccan territory. Every day thousands of migrants try to climb over razor wire fences surrounding the city. Ceuta holds two temporary migrant reception centres, hosting around 900 migrants who are waiting for asylum or to be transferred to mainland Spain. The One Pac and Fellows music project will take place under the direction of Birane Amar Wane, a Senegalese singer and composer, who arrived in Spain only a year ago, and the Sevillian drummer José Gómez Romero. Both will travel to Ceuta to organise a music workshop for people at the reception centre and later perform together for the entire population of Ceuta, those seeking asylum and residents alike. This event is organised by Marmaduke in cooperation with Elin Association. Description: The all female Haneen Choir Berlin was formed in 2017 and perform traditional Syrian folk songs. It is a branch of the Haneen Cultural forum which was founded in the Turkish city of Gaziantep on the 22nd of February 2015 on the initiative of Raja Banout. The forum is a group of forcibly displaced Syrian women who have decided to respond to the pain and suffering caused by the war with intellectual and cultural empowerment. The project aims to provide its members with support, as well as preserve the Syrian heritage. The songs are performed in different languages which are spoken in Syria, Arabic, Kurdish, Turkmen, Syriac, Armenian, Circassian and Assyrian. The event is organised by WERKSTATT DER KULTUREN, Berlin. Location and venue: Ghent, DOK Ghent, Splitsing Koopvaardijlaan en Afrikalaan, 9000 Ghent [BE] Description: In September 2017, a cycle of jam sessions took place organised by the association VZW De Vergunning and the SoundRoutes project, at which international musicians, displaced by war or other adverse conditions and local musicians played together. From these jam sessions the Belgian SoundRoutes Band was formed, consisting of international and local musicians. Shalan Alhamwy (violin), Sangar Suhail (vocals), Jamal Moussaid (drums, bass), Robbe Kieckens (percussion), Jonas de Rave (keyboard). Location and venue: Bologna, Chiostro Arena del Sole [IT] Description: The Afrobeat social laboratory is a music initiative led by the Jazz musician Guglielmo Pagnozzi. Every Sunday a jam session is held at the Locomotiv club of Bologna. These sessions are open to anyone who is keen to partake in cultural and musical exchange. 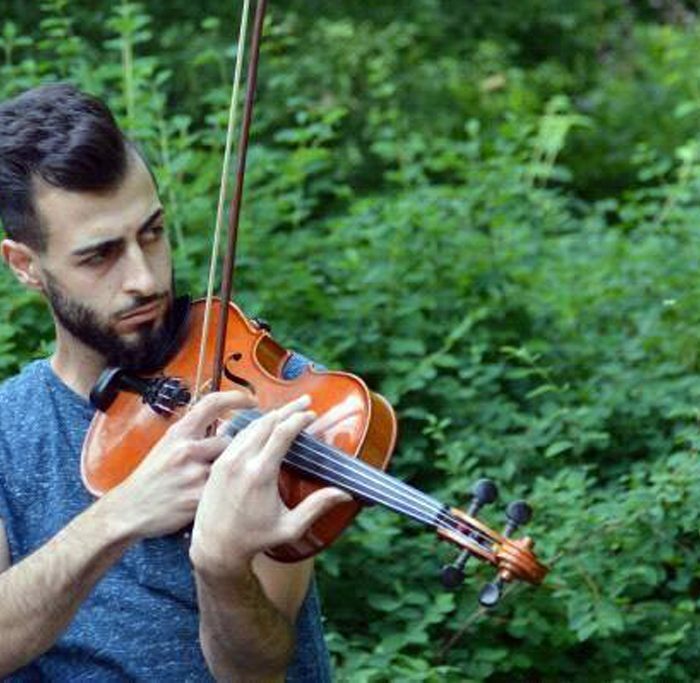 The collaboration with the SoundRoutes project has led to an increase in the number of international musicians attending the lab, many of whom are from reception centres. Among them are Reda Zine (Morocco), Seydu Kyenu, (Burkina Faso), Karismatique Mande (Ivory Coast), Kalifa Kone (Mali), Moulaye Niang (Senegal) Ibrahim Drabo (Burkina Faso) who perform with the members of Afrobeat Social. On the 20th of June more than 30 musicians will perform on stage together for an explosive repertoire of Fela Kuti songs, traditional music from the member’s countries of origin and original composition made during the laboratory sessions. Organised by Bologna Jazz Festival in cooperation with Emilia Romagna Teatro Fondazione during the “Right to the City” Festival “ which is part of project Atlas of Transition, a project funded by Creative Europe programme (2017, cooperation projects). 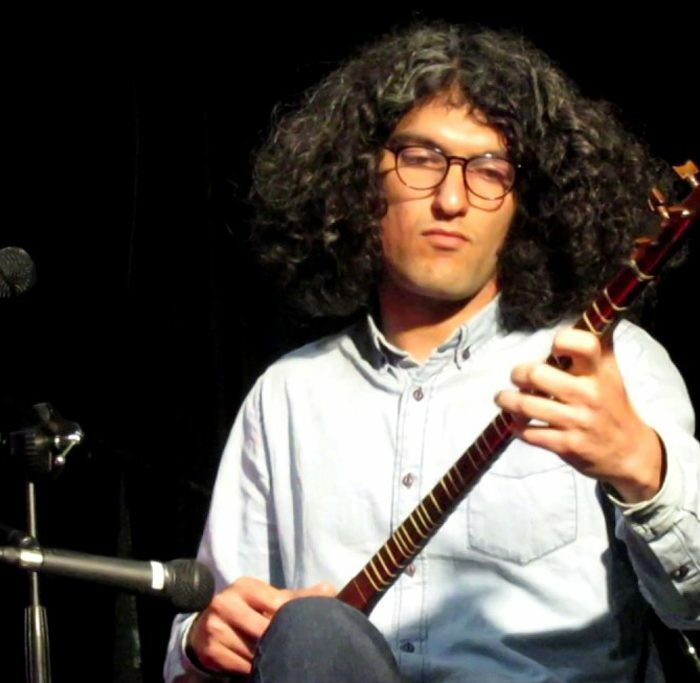 Celebrating Fête de la Musique and World Refugee Day, a day instituted by the United Nations, WERKSTATT DER KULTUREN presents a “Best Of” of the concert series ARAB SONG JAM and ARAB SONG JAM GOES MAGHREB, led by Wassim Mukdad (Damascus, Syria) and Alaa Zouiten (Casablanca, Morocco). 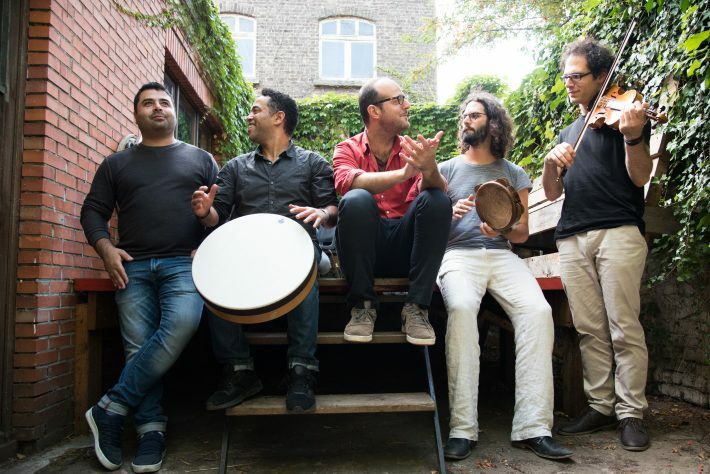 ARAB SONG JAM and ARAB SONG JAM GOES MAGHREB have become highlights of the regular concert programme at WERKSTATT DER KULTUREN. The concert format is based on the Black American Jazz jam sessions established in the 1940s: The first set is played by a regular trio or quartet of musicians, whilst other musicians are invited on stage during the second set. These jazz jam sessions are based on the “Real Book” of Jazz standards that evolved in the American Jazz tradition. Similarly the series is based on widely known standards of Arab song, as established and developed by the great singers of the 20th century’s Arab vocal tradition, such as Cairo’s Oum Kalthoum and Mohammed Abdul Wahab or Beirut’s Fairuz, with a liberal addition of traditional pieces from all over the Arab speaking world. Location and venue: Teatro India, lungo Tevere Gasman 1, Rome. [IT] Description: Un Ponte per… presents SoundRoutes jam sessions as part of a wider event of various performances involving international musicians who have sought refuge from war or other adversities. It is organised by the Interchange Library Service and Rome Theatres Foundation. The event aims to create new narratives on migration and to create a network of local associations working with refugees such as Refugees Welcome, Medu, project’s Humilitas – Casa Scalabrini, Gustamundo, Liberi Nantes, Baobab Experience, Matemusik’s concert and the musical group of MaTeMù/Cies. The final event will be the theatre drama, Kassandra, directed by Alessandra Cutolo. 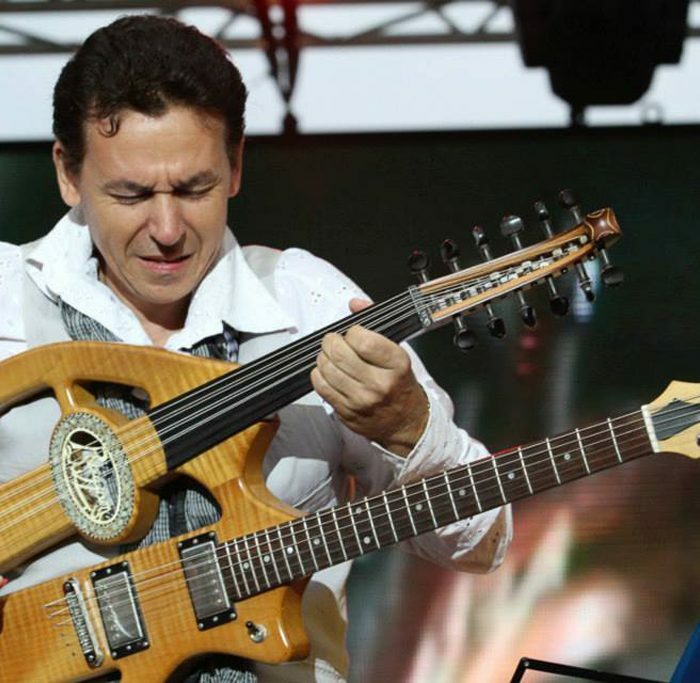 Join us for a special evening with ambassador of Gnawa Culture in the UK, Simo Lagnawi. Simo endeavours to spread understanding of the sacred Gnawa tradition, and to introduce his own movements of Gnawa fusion to wider audiences. So, why not let Simo and his friends transport you to Morocco for an enthralling evening of world music. PLUS, special guests The People’s Lounge. Simo comes to Portsmouth as part of the ArtReach led Journeys 2018 project and Portsmouth Festivities Refugee Week celebrations. Location and venue: Leicester Cathedral, 2 Peacock Ln, Leicester LE1 5FQ [UK] Description: To mark World Refugee Day, ArtReach through Journeys 2018, and Leicester Cathedral are delighted to be hosting Arabella Dorman’s Suspended in the nave of the Cathedral. Composed of hundreds of items of clothing discarded on arrival by people seeking refuge on the island of Lesbos, a stilled explosion will be created, inviting the viewer to contemplate the violent fragmentation experienced by the wearers of the garments. The Launch Event will feature live music and a welcome from Leicester Cathedral’s Dean, David Monteith, and the artist, Arabella Dorman. As part of the ArtReach led Journeys 2018 project, MIGRATE presents new photography exploring global migration by eight international photographers: Alice Aedy • Cyrus Mahboubian • Ellie Kealey • Jack Harries • Tom Skipp • Rhiannon Adam • Vassilis Mathioudakis • Wolf James. Despite its staggering scale, living in the UK makes people largely detached from the ongoing refugee crisis that has swept across continental Europe. This exhibition hopes to encourage dialogue and raise more awareness of the crisis among British people. Location: HOME, Café Bar, 2, Tony Wilson Place, Manchester M15 4FN, [UK] Description: ArtReach through Journeys 2018 have teamed up with the Lesbian Immigration Support Group (LISG) to bring you an evening celebrating diversity and the rights of LGBTQ+ asylum seekers and refugees in Manchester. 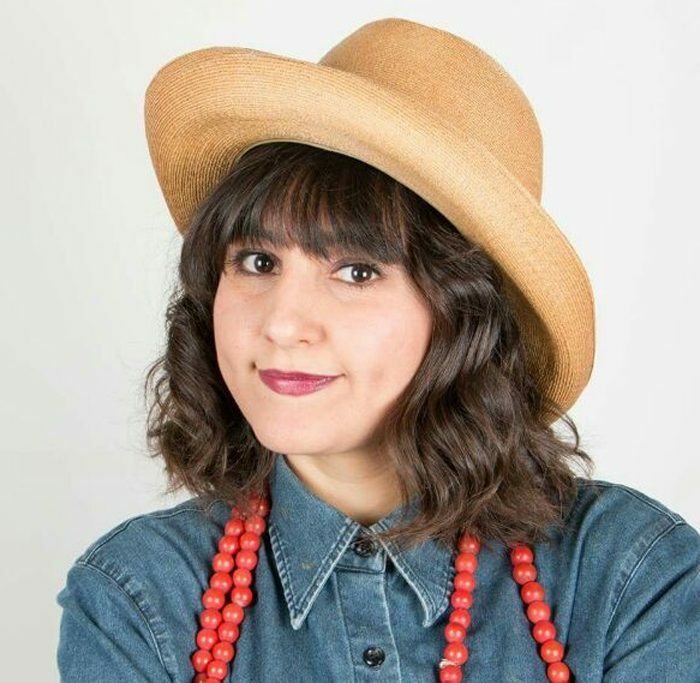 Enjoy the evening with live music from young Eritrean singer Neda Naser, great art, craft activities and a quiz. – how acta co-creates theatre with refugees and migrant communities in Bristol, including Somali, Sudanese, Eritrean participants. – presenting work created in the UK, Netherlands and Sicily during the two-year Creative Europe -funded project – REACT Refugee Engagement & Integration in community theatres, culminating in the REACT festival in March 2018. Films of workshops and performances by refugees taken during the two-year project will be shown. Afterwards there will be a practical theatre workshop to provide an introduction to the fun and gentle methodologies used by acta facilitators, which sit at the heart of acta’s artistic process of co-creating theatre with marginalised groups. Shared Stories is arranged by the Arteria Association in Gdansk as part of the Shared History project. The first part of the event will be a storytelling workshop for a group of women, both immigrant women and those representing Poland as the receiving society. During the workshop they will share stories of their lives. Using various storytelling methods, they will present these histories to each other. The second part of the event will document the process in the form of short interviews – recorded as photos, films and text. The workshop itself will be an ethnographic research piece and the results will be later presented in a short summary. Shared History is a project that brings together newly arrived and established artists in the Baltic Sea Region to explore critical methods of narration and co-creation in a time of polarised discussions about history and identity. Shared History is a cross-disciplinary project with the purpose of critically connecting and artistically interpreting the different reactions on the refugee situation that is strongly affecting, shaping and dividing the European Union. By creating a space for creative and critical dialogue for writers and thinkers Shared History aims to investigate history and narrative as a process for participation and interpretation, rather than a fixed set of facts. The exhibition at Färgfabriken is one of three exhibitions created within the project, showcasing works produced during months of collaboration between artists that were paired together to create new works springing from the concept of Shared History. The artists have focused on themes like inclusion and isolation; privilege and responsibility; how pressure affects individuals; the feeling of belonging and integration in relation to nature. Humans live in the Imaginary order. Most aspects of social life rely on our belief in things that, in fact, are not there; we make decisions believing that there will be a future, very often a future dependent on factors not existing in the real world (for example, we take on a loan believing that in 20 years we will be able to keep paying back interest). It is the belief in the Imaginary that most distinguishes humans from other animals and helps create narrations which, among other things, cause the human to declare himself “god” in relation to other beings or people. In a multi-cultural group of amateur performers and people involved in art, we confront the topic of faith as a factor organising our lives. We consider how our belief in the free market, universal justice, a world without borders, sustainable development, or Poland being the Christ of Nations impacts our daily choices and our functioning in the world. We draw from the group’s members’ direct experiences – their perceptions of postcolonial relations and their religious beliefs. We confront our beliefs with superstitions, stereotypes, and the foibles of those beliefs. In other words, we attempt to shed light on the largest difference between the human species and other animals. The performance involves a group of 70 participants – between them – group of 40 actors-amateurs (refugees, migrants, asylum seekers and Polish), 20 musicians (also amateurs and professionals – Polish and with the migrant background) and 10 video makers (the composition of the group is also mixed).